Here’s a quick Tuesday tip for you. 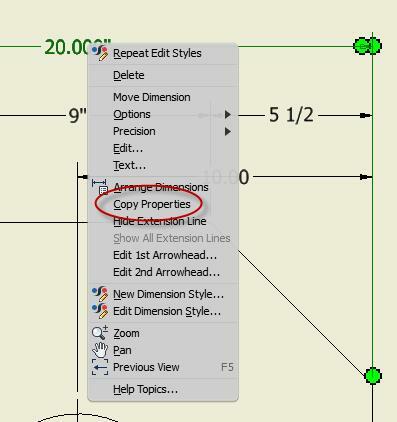 A feature in Inventor drawing annotation that gets overlooked often is ‘Copy Properties’. It works much like ‘Match Properties’ in AutoCAD. 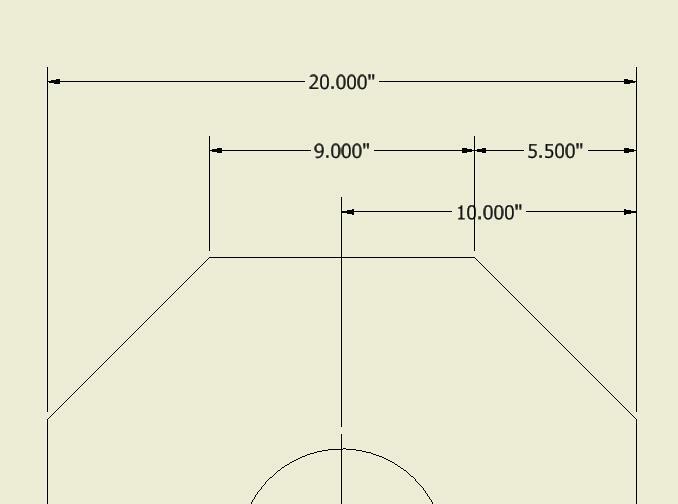 In the example below, I want all the dimensions to match the style of the 20.000” dimension that is circled. It is a simple two step process. Right click on the dimension with the properties that you want to copy. In this case it is the 20.000” dimension. Select the dimensions that you want to match the first and you’re done! You can’t get much easier than that!